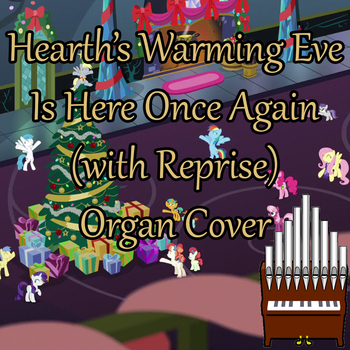 Here's my Organ Cover of Hearth's Warming Eve Is Here Once Again (with Reprise) from "A Hearth's Warming Tail". Enjoy. :) Audio exported from Finale 2014 with Garritan's Classical Pipe Organ VST. Sheet Music: https://drive.google.com/file/d/0B3DVW37sPqGQc19UZHBsVjZ1UDA/view?usp=sharing MIDI File: https://drive.google.com/file/d/0B3DVW37sPqGQcGhzOS03QWlsZWc/view?usp=sharing Original song composed by Daniel Ingram Sheet Music, MIDI file and Cover ©2016 Jonny Music. All Rights Reserved.